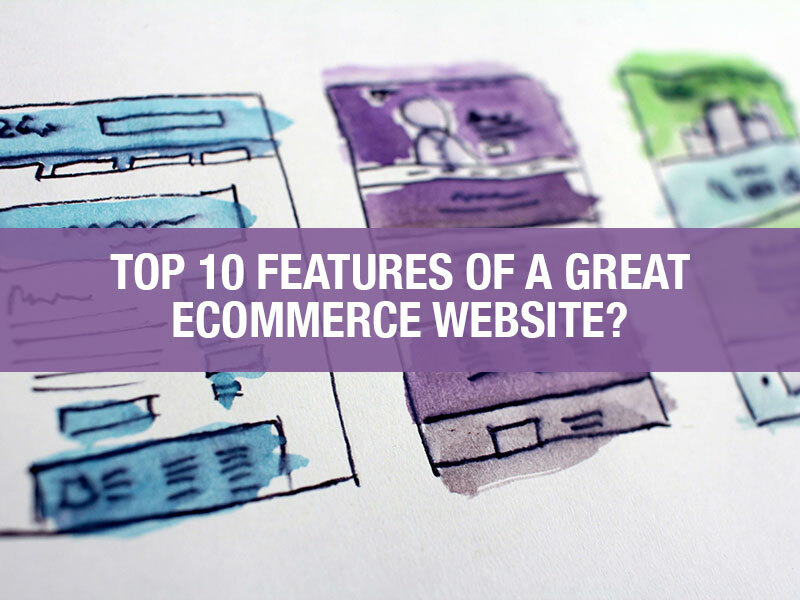 Home/eCommerce/What Are The Top 10 Features Of A Great Ecommerce Website? You’ve already done the hard bit. You’ve started an ecommerce company, decided on the products you want to sell and whom you want to sell to. The next step is creating a great ecommerce website that not only brings users in from search engines but also takes them from product to checkout without a hiccup. Believe it or not, this is the easy bit. So how do you do it? What makes a great ecommerce website? We’ve compiled the top 10 features and detailed them all below. 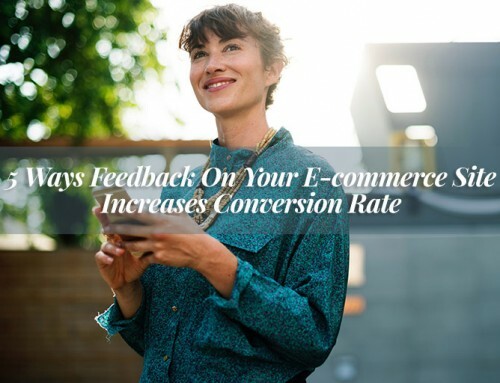 Take a read through, send them on to your web developer and work with them to create an easy-to-use, fast, customer-focused ecommerce site that will be the backbone of your successful online business. The most important thing to understand about creating an ecommerce website is that any barrier is likely to cause ‘checkout abandonment’. This is a technical way of saying your customer is fed up with trying to buy your product and simply gives up. Many of the items in this list are tips to help you prevent that from happening, and ease of use is right at the top. Your user’s journey on your site starts with the navigation. You need to make it as easy as possible for a user to find what they’re looking for, put it in their basket, and buy it. Take ASOS, for example. Their shopping experience is so simple. From the homepage, you have two options: Women or Men. Select one of these categories and you have a few more, such as clothing, shoes, and accessories. Click on one of these and you then have access to everything in that category, including filters and style selection. It’s simple, intuitive, and it allows you to find what you want quickly. You may be surprised by this statistic: every second’s delay in an ecommerce website’s loading time causes a drop in revenue by up to 7%. Even the biggest retailers aren’t immune: Amazon says that for every 1 second delay in one of its pages loading, it sees an accompanying 1% drop in revenue, which amounts to a staggering amount of money. In today’s instant gratification society, people do not want to wait around to complete their orders. The purchasing process has to be seamless and straightforward. Ensure that you work with your developer to build your site with loading times in mind. Consider using a content delivery network to help deliver your site quickly, wherever a user is in the world. In 2017, nearly 60% of ecommerce sales were completed on mobile devices. And multi-channel shoppers spend three times more than those using only a single channel. That’s huge. When designing and building your site, start with mobile layouts. Your developer should know all about responsive design and it’s important to work with them to make your site as easy to use on a mobile device as it is on a desktop. Once it’s built, test it thoroughly. Get friends and family to test it. Ask strangers to test it. You need to be sure that every user has a seamless experience, however they access your site. You may have noticed a trend with large retailers using large, high-quality images across their sites. Why? They create more vivid, engaging experiences. They hero your products, rather than limiting them to basic thumbnails. Consider investing in product photography and use it to bring your site to life. Furthermore, these images don’t have to be there just to look nice. They can draw customers into purchasing. Try adding a CTA button to your image along with some promotional text: something like “Brand new in stock – Buy today and get 10% off” tends to work very well. High-profile cyber crime cases are publicised in the media regularly, and often involve huge organisations such as Yahoo or even the UK’s NHS. Some ecommerce companies have lost more than $5m USD in stolen data from cyber crime. Don’t fall victim to this. Make sure your site is secure. There are plenty of resources out there to help you ensure that customers entering bank details into your checkout are protected from fraudulent activity. 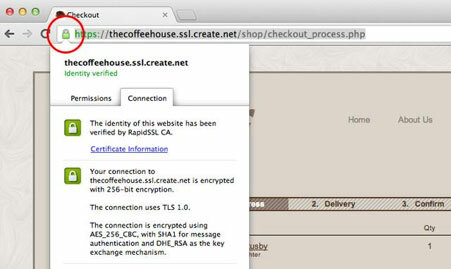 This can start with something as simple as an SSL certificate. As well as creating a secure process for payments on your site, it’s worth thinking about how you’re asking users to pay. You may think that entering card details is the only option, but there is a wide range of services, including PayPal, Stripe, and Skrill. Support for numerous payment gateways is a big advantage of using a mainstream CMS, so consider trying a hosted system such as Shopify or BigCommerce. You can also draw inspiration from existing stores set up to meet Australian ecommerce regulations (perhaps visit Exchange for the latest Australian listings), though you likely won’t need any pointers if you work with a developer that knows what needs to be done. 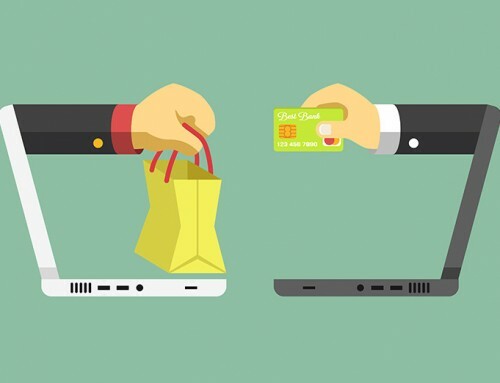 Regardless of how you accomplish it (by adding them manually, building a site through a standard CMS, or even picking up a pre-built site), if you incorporate some of the more popular payment options in your checkout process, you make life easier for the users who have signed up to these services. And they’ll love you for it. This is a common oversight for many ecommerce businesses. Simply selling products isn’t enough. A customer may buy once, but if you don’t give them a great experience, they certainly won’t buy again. Make the returns process easy. Provide a number of ways for customers to get in touch: phone, email, contact forms, social media, etc. Consider even implementing live chat functionality. The more accessible and communicative your company is, the more your customers will appreciate it. You’ll likely also attract more positive reviews in the process. This feature goes hand-in-hand with great customer service. Customers love information. Whether it’s an order confirmation email or a text message to say that a delivery is imminent, it forms part of a great customer experience and makes the customer feel important. Take Monzo, for example. 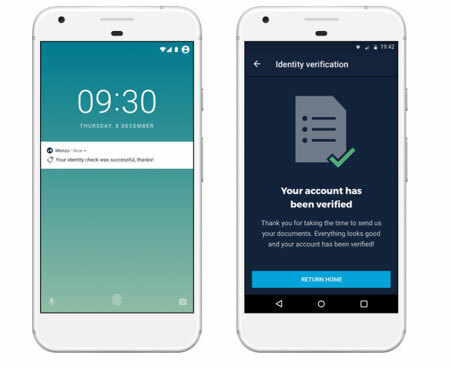 Monzo is a new bank in the UK that is 100% online. The hype surrounding its launch resulted in a waiting list of over 100,000 people for its top-up debit card. Why so much hype? The entire model was built around a brilliant user experience. You can see this right from the signup process: every element is clear and straightforward. Through app notifications, texts and emails, you can detail exactly what just happened at every part of the ecommerce process. Try to make this happen for your customers. Social proof (largely in the form of user reviews) is a mainstay of ecommerce sites for good reason. According to Search Engine Land, around 92% of shoppers read customer reviews. You may be reticent to allow open reviews as it makes you vulnerable to negative comments, but don’t fear them — if you handle them well, you can often resolve the customer issues, and you’ll end up with a more positive brand image overall. Many ecommerce content management systems and plugins (such as WooCommerce for WordPress) will tap into some of the more popular review platforms like TrustPilot. If your developer marks up the reviews as rich snippets, they will also be eligible to appear in your search results, which can make customers more likely to click on your site. Consider how you can entice customers through from your top-level pages to the point of purchase using special offers. These could be seasonal or simply based around your latest and greatest products. You could even go further and build offers into a loyalty program. Just think about the allure of a proposition such as “Join our rewards program and receive 20% off your next purchase”. If you have a mailing list built up, you can send special offers out to that audience. Make people feel special and create exclusive offers for them — it will build loyalty and encourage those missing out to sign up (FOMO is a powerful thing). Ignoring social media in 2018 is missing a major opportunity for promotion and communication. Most of your customers are interacting on social platforms every day. If you build social sharing and conversational elements into your ecommerce site, you’ll not only allow customers to interact with you using their choice of medium, but you’ll also create an opportunity to expand the reach of your brand. Let’s say a customer buys a brand new set of golf clubs from your website. They’re going to be excited about it and want to show off their purchase. If you prompt them to share when they’ve completed their purchase, they could tell their whole follower base that they’re happy with the product they’ve bought from you. That’s free advertising. Here’s a bonus tip for you. It’s true that all the features above will contribute to an excellent ecommerce website. If you make it easy to use, fast, and communicative, your customers will enjoy buying from you and keep coming back. But be ready to adapt. Tastes and standards change, and there’s always room for further improvement: even the tiniest tweak can to the checkout process can have a positive impact on abandonment rates. Listen to feedback and adjust accordingly to create a great shopping experience for your customers. 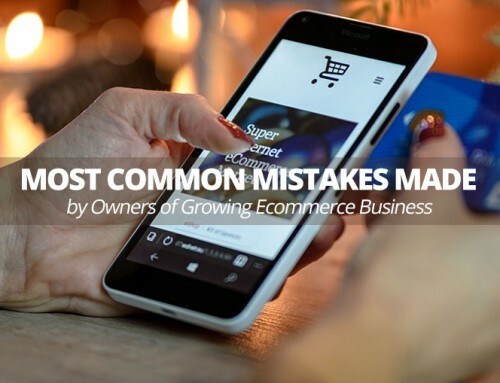 Patrick Foster is a writer and ecommerce expert from Ecommerce Tips — a forward-thinking ecommerce blog dedicated to sharing the latest online retail insights. Check us out on Twitter @myecommercetips.